Today was to start my return. I made a list of jobs last night that I would tackle today to start rebuilding my endurance and strength, but by the time I was done at the hospital this morning, I felt feverish, washed out, and spent. I had to take a step back. To review, I had cryo ablative prostate surgery, came home with my new stitches and a plastic catheter through my abdominal wall into the bladder. Once this is inserted through the abdomen, the balloon is inflated to prevent the tube from being accidentally pulled out. A plastic collection bag was strapped to my leg for day use, and at night this was switched out for a much larger collection bag that lay on the floor next to the bed. There is nothing pleasant about this process either for the patient or those that are providing aid. The first week is just dedicated to healing and getting by. 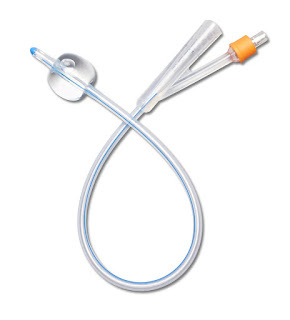 The second week is dedicated to voiding trials, in other words, how much you are able to pee naturally versus what is left behind to be voided from the bladder catheter. The collection bags are removed, and the tubing plugged to force you to get up and pee as needed. One of the post-op directives is to get plenty of rest. This goes out the window real fast. Every 40-60 minutes around the clock you head for the bathroom, measure and record the two voidings, and update the log for the doctor’s inspection. It’s like having chemistry lab at three in the morning. The patient doesn’t get any sleep, and any person listening to you stumbling around the house doesn’t either. It is a long week. A couple mornings I got up and just sat up for four hours so Jean could get a bit of uninterrupted sleep. The objective is to start getting higher amounts voided naturally while leaving smaller amounts to be voided by the catheter, a measure of returning to normalcy. I perhaps got up more than most, I understand, because I encountered a lot of incontinence. I was peeing myself continuously, 24-hours a day, filling one Depends after another. Instead of trying to lay in bed longer, I’d opt to get up and void my bladder rather than wet myself, my clothes, and the bed, although it was of course covered with a plastic absorbent pad. In my first week after surgery, I gained 18 pounds from fluid retention, so off I went to the emergency ward for a cardiac stress test. My legs inflated like I had elephantiasis, and the skin was stretched until it was slick and shiny, and I couldn’t bend my legs more than about 30-deg. The test included chest x-rays, ultra-sound, and the injection of Lasix to force me to expel the fluids. In the few hours I was at the hospital, I lost 5 pounds. This was followed by another week of Lasix pills to keep things flowing. Then I came down with a severe case of gout, which took about a week to play out. If you’ve had gout, I don’t need to describe it. If you haven’t, it would be a shame to ruin the thrill of discovery. It is one of those never to be forgotten experiences. My dance card was filled with doctors and nurses. I went back to the hospital again for an echocardiogram, and another day for an abdominal ultrasound. This past Monday, however, I returned to the hospital in Oklahoma City again to have the catheter removed, and that improved my outlook on life a hundred percent. Maybe that was what made me feel human again. From here, the hole in my stomach is supposed to close on its own in about four days. The incontinence should slow and stop over time. I sure hope so. I know it happens to some guys, but spending the rest of my life peeing myself continuously is not a happy thought. The idea for a bumper sticker couldn’t help but present itself: “Incontinence pisses me off.” So, I’m not completely back yet, but I’m on my way.